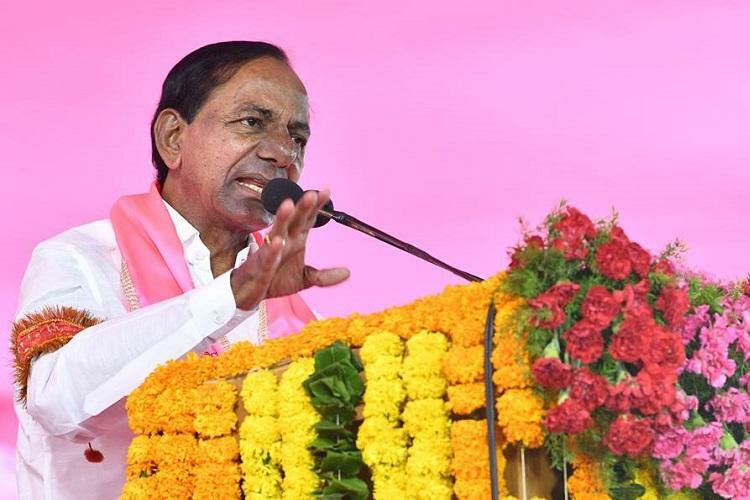 The Election Commission of India has issued a notice to Telangana Rashtra Samithi (TRS) President and state Chief Minister K Chandrasekhar Rao for violating the Model Code of Conduct (MCC). The notice dated April 9, was issued after the Commission received a complaint from M Rama Raju, State President Viswa Hindu Parishad (VHP). It cited a campaign speech made by KCR where he allegedly insulted Hindus. “The complainant has stated that you have tried to secure votes by passing derogatory remarks against Hindus while addressing an election rally at Karimnagar on March 17. The Commission has obtained English version of the speech and factual report from the Chief Electoral Officer, Telangana,” the notice states. “The Commission is prima facie of the opinion that by making the aforesaid statement which has the potential of disturbing harmony and aggravating the existing differences between social and religious communities and appealing to communal feelings, you have violated the Model Code of Conduct,” the notice stated. The Commission ordered KCR to submit an explanation on or before 5 pm on April 12, failing which the EC would take a decision on further action to be taken.